An inaugural visit to a legendary North American road racing venue and the addition of a new class of Porsche race cars are among the highlights of the 2019 Porsche GT3 Cup Challenge Canada by Yokohama schedule announced today at Road Atlanta by Porsche and the International Motor Sports Association (IMSA), which sanctions the series. In what will be its ninth season of competition – in conjunction with IMSA’s 50th anniversary celebrations – 12 rounds across six event weekends are set for the Porsche one-make series. The championship is one of Porsche’s 23 one-make series throughout the world. 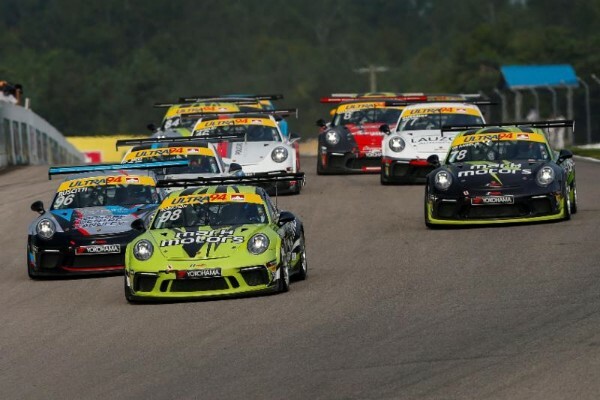 A staple on the series’ calendar, the annual Victoria Day SpeedFest at Canadian Tire Motorsport Park hosts two rounds for GT3 Cup Challenge Canada on May 17-19. It’s here that fans will have the opportunity to witness the Porsche Cayman GT4 Clubsport class competing alongside the Porsche 911 GT3 Cup cars. GT3 Cup Challenge Canada will once again participate in the Formula 1 Canadian Grand Prix event weekend at Montreal’s Circuit Gilles Villeneuve. The Porsche GT3 Cup Challenge USA by Yokohama will join their Canadian counterpart in early June for the first of two shared events with GT3 Cup Challenge USA. The date for this weekend will be confirmed following the approval of the entire 2019 F1 calendar by the FIA. 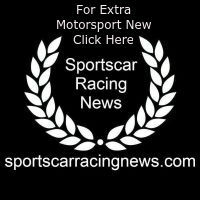 It will also be the only event where the Porsche Cayman GT4 Clubsport class will not compete. For Rounds 5 and 6 – in the first of two companion events with the flagship IMSA WeatherTech SportsCar Championship – GT3 Cup Challenge Canada makes its second of two trips to Canadian Tire Motorsport Park on July 5-7. The doubleheader will be a part of the Mobil 1 SportsCar Grand Prix weekend, which features all four classes of the WeatherTech Championship in 2019. GT3 Cup Challenge Canada will have a quick turnaround for its next pair of races, as the following weekend the series takes to the streets of Toronto for the annual Honda Indy Toronto on July 12-14. This marks the fifth consecutive year that GT3 Cup Challenge Canada will be part of the IndyCar Series event weekend. For Rounds 9 and 10, the penultimate weekend of the year offers a first for GT3 Cup Challenge Canada competitors – a trip to the fan-favourite, four-mile Road America circuit in Elkhart Lake, Wisconsin. As part of the WeatherTech Championship event weekend, the series will again pair up with GT3 Cup Challenge USA for battle on August 2-4. The final two rounds of the season will be held at a venue that the series has not visited since 2012, Mont-Tremblant, and it’s the 4.26-kilometer circuit in Quebec that will decide the 2019 championships for GT3 Cup Challenge Canada.